For nearly 50 years, Thousand Trails has been a leader in providing family-oriented campgrounds situated in natural settings in popular vacation destinations. With more than 80 scenic locations in more than 22 states and British Columbia, our campgrounds cover plenty of ground in terms of choice. From the Pacific Northwest to the shores of New England, from the heart of Texas to the Midwestern heartland, plus sunny Arizona, Florida and California – there are plenty of choices to fulfill all your camping dreams. In addition to our great locations, we make it easy to camp your way. Our Thousand Trails Camping Pass provides access to designated campgrounds within a selected region for one low, annual cost. We also have numerous benefit options that meet the needs of those who may want to spend more time on the road. Our products and price points provide plenty of flexibility so that no matter how you camp, you’re camping with us! You will never tire of the spectacular ocean views with a trip to Pacific City RV Campground. 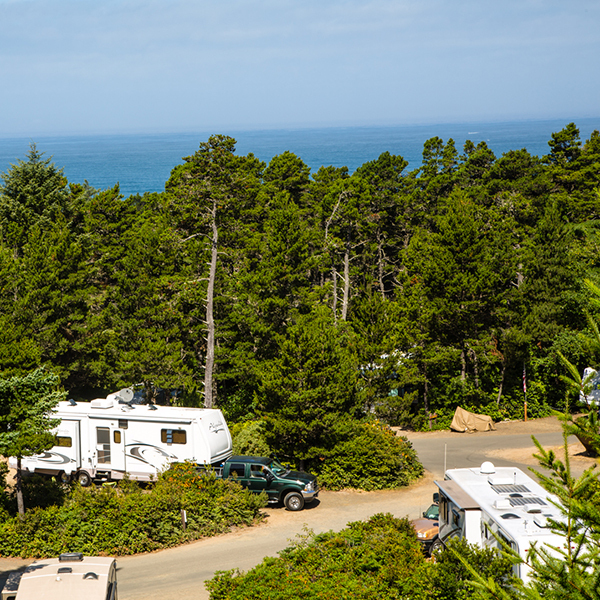 Nature trails, fishing, clamming, surfing, beach-combing and more can all be found at this RV campground, located along the beautiful Central Oregon coastline. Explore Pacific City RV Campground year-round with activities tailored to specific seasons. Enjoy the water in the summer, picking huckleberries in the fall and whale watching in the winter. After an exciting day of fun, sit back and relax around a crackling fire. Ask the staff about planned recreational activities and scheduled entertainers. 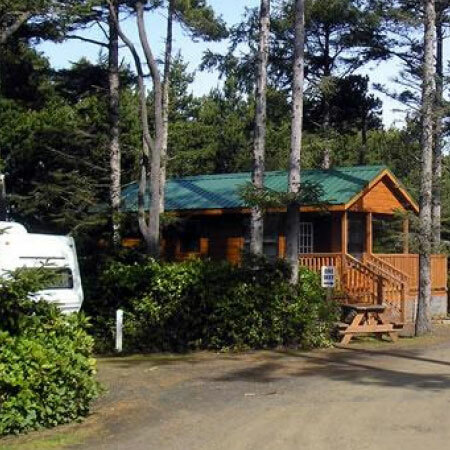 An abundance of indoor and outdoor recreation awaits at Seaside RV Campground on the Oregon Coast. 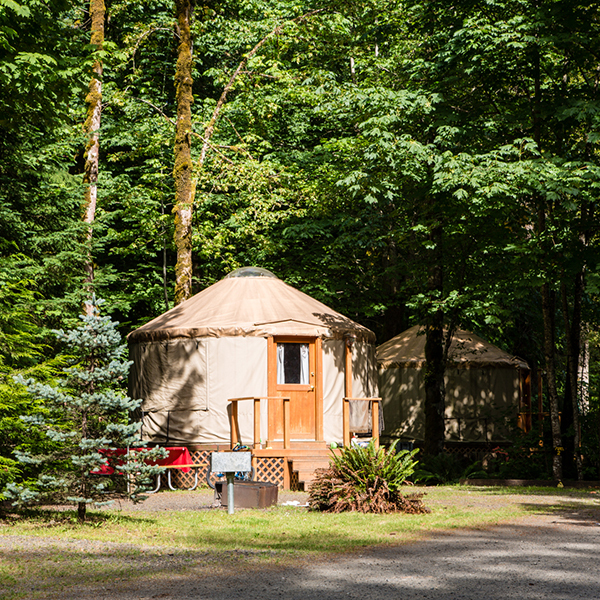 Open year-round, one visit to this Oregon coast RV campground just isn’t enough. Situated amidst scenic views and historic sites, Seaside offers guests opportunities for hiking, biking, whale watching, saltwater fishing and swimming. Other nearby attractions include the Air Museum, Seaside Aquarium and Lewis and Clark historical sites. Back at the resort, relax at the indoor swimming pool and spa or test your skills on the tennis and pickleball courts. Location, location, location! Just two miles from the beautiful Pacific Ocean, South Jetty RV Campground is the perfect outdoor getaway. Located along the Oregon coast, you’ll enjoy the best of the outdoors in and around the town of Florence. The campground is positioned on the fringe of the beautiful Jessie M. Honeyman Memorial State Park. Rent a dune buggy and enjoy a day at Oregon’s giant sand dunes. More than15 area lakes offer sailing, swimming, trout fishing, water skiing and more! Back at the campground, enjoy a swimming pool and hot tub, tennis and basketball courts, scenic nature trails and numerous arts and crafts offered in the activity lodge. Visit South Jetty and enjoy comfort, relaxation and fun. Grab your bathing suits, towels and flip flops! 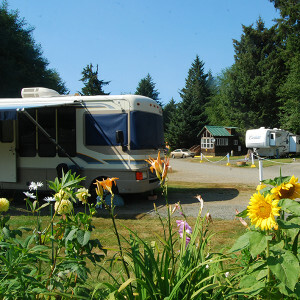 Whalers Rest RV Campground offers an ideal beach location, just 150 yards from the Pacific Ocean. Water lovers can find salt-water swimming, scuba diving, surfing, whale watching and fishing, all within minutes of Whalers Rest. On those not-so-sunny days, the indoor pool and spa are fabulous alternatives. Billiards, tennis courts, horseshoe pits and mini golf are popular on-site activities, as well. Other local attractions include the Chinook Winds Casino and Ripley’s Believe It or Not Museum. This campground truly has it all! Located on a vast 283 acres and along the Little Deschutes River, Bend/Sunriver RV Campground offers the best of both worlds: lots of sunny days and cool, refreshing nights. Fishing enthusiasts will be excited about this central Oregon RV campground, as area rivers and lakes are home to salmon, Whitefish and rainbow trout. Visitors may also look forward to an array of water and land activities Including swimming, boating, canoeing, kayaking, hiking and horseback riding. Want to explore more in the winter months? Just five minutes from Bend/Sunriver is Mt. Bachelor, a wold-class ski resort. Hiking and mountain biking are popular spring, summer and fall activities. 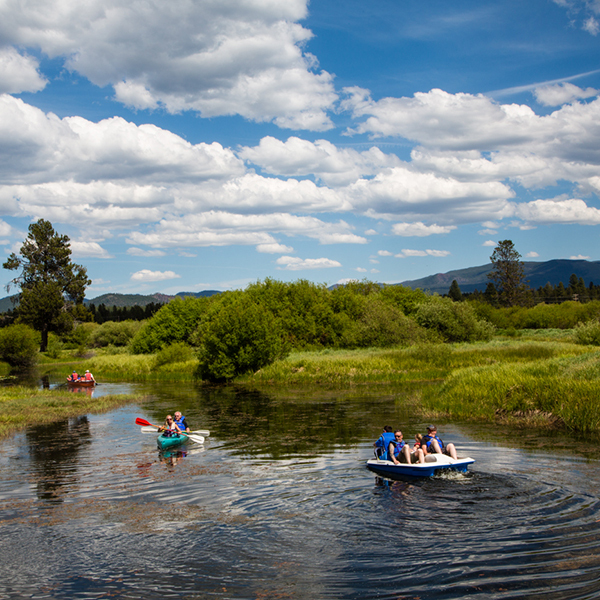 Don’t miss out on a memorable trip to Bend/Sunriver! Make Mt. Hood Village RV Resort your home base for all the fun the Mt. Hood recreational area has to offer. Since its opening in 1984, Mt. 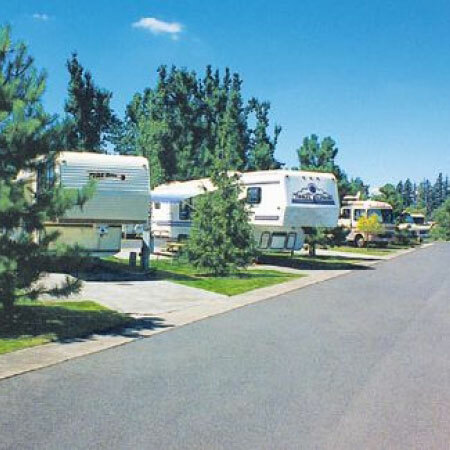 Hood Village RV Resort has been known as a premier RV resort in Oregon. Mt. Hood Village offers 300 wooded RV sites and a variety of rental accommodations, including quaint vacation cottages, rustic cabins, unique yurts and tiny houses. Fun and adventure is right around the corner! A 27- hole golf course, more than 700 groomed hiking trails, rock climbing, bird watching, mountain biking, fishing, skiing and Mt. Hood National Forest are all within reach. The Huckleberry Festival and Salmon-Mushroom Festival are just two regular activities presented at Mt. Hood Village. Nearby, historic Timberline Lodge is the only location in the United States that offers year-round skiing and snowboarding. 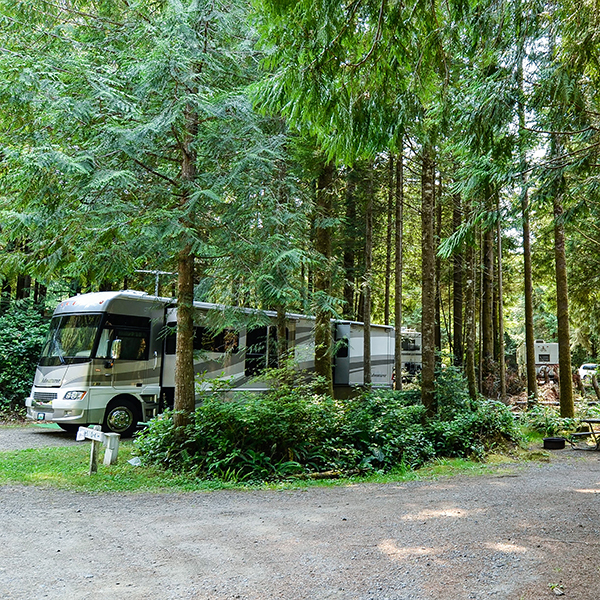 Portland Fairview RV Park is much more than a place to park your RV. Located just 8 miles east of downtown Portland, Oregon. Enjoy the peaceful setting while being close to all the restaurants, attractions and fun that Portland has to offer. While at Portland Fairview, take in the lovely landscaping found throughout the resort, wander amid tall evergreens and along the babbling brook as you unwind in the beauty of nature. Our Thousand Trails Camping Pass is offered by MHC Thousand Trails Limited Partnership, an affiliate of Equity Lifestyle Properties, Inc., Two North Riverside Plaza, Chicago, IL 60606. This advertising is being used for the purpose of soliciting sales of resort campground memberships. This document has been filed with the Department of Licensing, State of Washington as required by Washington Law. Value, quality or conditions stated and performance on promises are the responsibility of the operator, not the Department. The filing does not mean the Department has approved the merits or qualifications of any registration, advertising, or any gift or item of value as part of any promotional plan.